Vlad the Impaler by Kasabian. 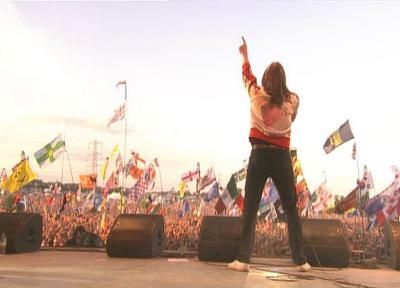 Tom Meighan sounds like a maniac in the beginning and that baseline! Rocks the bloody socks off any rock’n’rol tune released this year. BIG. From possibly the longest album name of the year, West Ryder Pauper Lunatic Asylum. Animal by Miike Snow. I have often listened to this debut album 3-4 times in a row on rotate and doesn’t get boring. Very chilled out. I was surprised to know its from the Swedish producers of Britney Spears “Toxic”. The video link is live from Jool Holland. Little Girl by Danger Mouse and Sparklehorse ft. Julian Casablancas. I am into all things Strokes related and this is one of the greatest. It features an immense spine tingling guitar solo and then “The world always amazed at how much cash you make, but not how you made it, it’s just strange.” Lots of great random lines in here. Off the “Dark Night of the Soul” album. Poison Lips by Vitalic. I just want to party when this comes on, sounds like fashion runway music. Off the “Flashmob” album. Hellhole Retrace by Girls. I hate all those hipsters out there proclaiming that this was the best song of the year, but it truly is awesome. This guy is really sad, but man this tune is one of the most beautiful of the year. Melody people, there still melody makers out there. The debut album has got this awesome Pet Sounds influence. I hope this guy gets his girlfriend back in 2010. Tourist by Julian Casablancas. This tune is a beast. Its from his solo album, Phrazes for the Young. Starts off with an awesome electro guitar riff and just got this end of the world is near but keep on marching on vibe to it. “Feel like a tourist out in the country, once this whole world was all countryside.” 11th Dimension is a close 2nd. Growing Old is Getting Old by the Silversun Pickups . This is perhaps the most chilled out tune of the year from the Swoon album. Great atmosphere to it. Saw these guys at Sasquatch 09 and they smashed it. If your into tunes that build and build and become these epic endings then this is ze tune for you. Dull Life by the Yeah Yeah Yeahs. This tune got me psyched when first got around to the album back in May. Heads Will Roll and Zero are exciting as well, as are the new electronic dance elements throughout the It’s Blitz! album. But this one has got this fighting quality to it. Still sounds fresh, “more alive than you’ve ever been”. French Navy by Camera Obsecura. Nostalgic quality to it, I think its gotta do with orchestration. Nobody writes poptastic tunes like this anymore. From My Maudlin Career. Ghosts’n’Stuff by Deadmau5. This is probably the biggest party tune of the year. It’s epic. New Years Eve 2009 wouldn’t be complete without it. 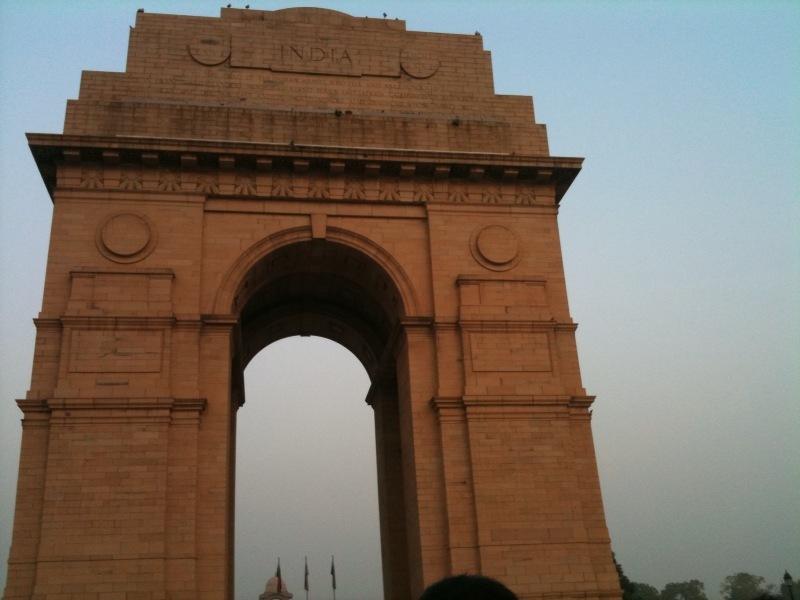 I recently got back from a family trip to India and it was awesome. Amongst other things, I attended my cousins wedding, checked out the Taj Mahal and ate a lot of great food. Man I wish I had a personal Indian cook. Anyways one of the most useful documents I’ve attained in the past few years has been becoming an Overseas Citizen of India (OCI). You can read the detailed benefits here. To make a long story short, its not dual citizenship (not allowed by Indian government – get to work on that!). So I can’t vote in elections in the worlds biggest democracy. However, the main benefit is multiple, lifelong visa to India. So for the Canadians out there, if you parents were once a citizen of India, then you can get it for approximately 300 CDN. Set for life. It definitely pays for itself after even 2-3 visits, since you have to pay approximately 82 CDN for tourist visa and more for a business visa. How else did it pay for itself? Well I like to visit historical places, old forts, palaces, etc. Safdarjung’s Tomb, Humayun’s Tomb, Jama Masjid in New Delhi, cost me mere 20 rupees each (50 cents), othervise would have been 750 rupees per monument. 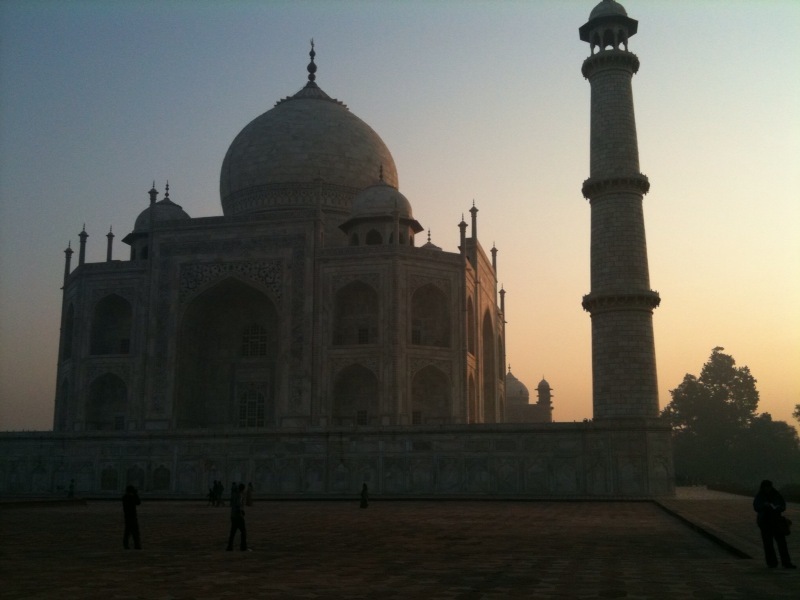 The Taj Mahal also costs 750 rupees each time for foreigners. I saw it twice cos of my OCI card for 20 rupees. Same thing for Fatehphur Sikri, the former Mughal capital of India. 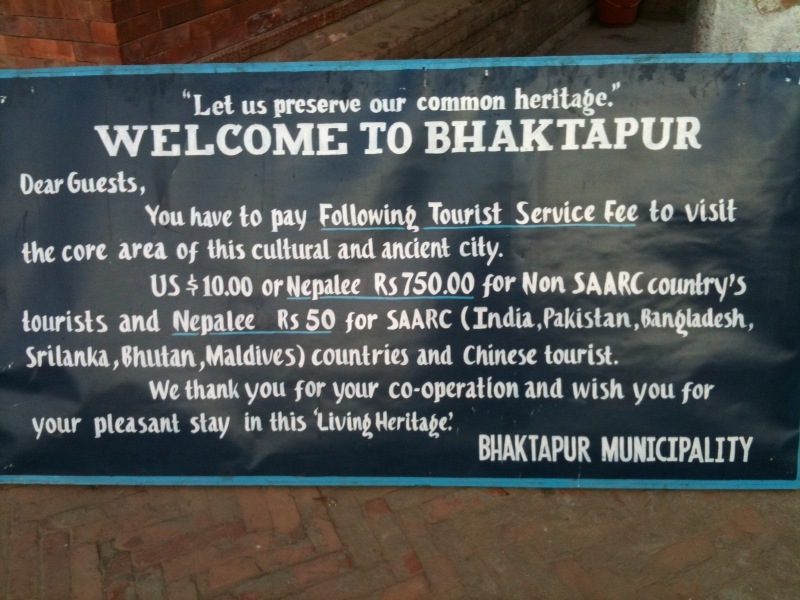 Sure its like basically 10-12 bucks/each for foreigners converted, but it adds up! And why not take advantage? Plus it led to some interesting events for instance the agents at the Taj Mahal ticket windows thought I was a government VIP. I was like “this is awesome” in my head. And it worked in Nepal too. I had to pay 20 USD for the visa entry. But after that it was back to home town discounts. In Nepal they have special price for neighbouring South Asian nations, and so in all instances I simply said few lines in Hindi and they believed I was from India. I didn’t have to flash the card there once as my hindi had improved at that point (still working on that). Its not just about an emotional connect either, it makes eminent business sense too. It also works as a business visa, sparing the need to obtain separate work permits. India’s growing importance as an economic destination was enough to convince me to get it. PS: I filmed a little video while inside Shah Jahan’s old stomping grounds. I wasn’t allowed to, but they didn’t realize iphones have video capability. Enjoy!